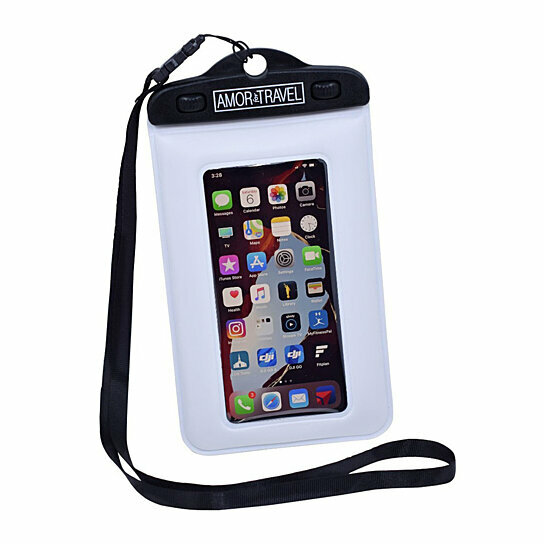 Whether you are taking a hot tub boat ride out on the lake, island hopping, swimming, or simply taking pictures in the rain, this phone carrier with water resistant features is awesome. The foam insert gives it slight buoyancy to float and clear backing makes it easy to use the camera without having to remove it from the bag. The straps allows you to hang it or place it around your neck so you can freely focus on the task at hand. Definitely a great travel accessory for any water activity. The foam insert gives it slight buoyancy to float and clear backing makes it easy to use the camera without having to remove it from the bag. The straps allows you to hang it or place it around your neck so you can freely focus on the task at hand. Definitely a great travel accessory for any water activity.